Detectives have launched a murder investigation after a man was stabbed to death in Londonderry during the early hours of this morning, Sunday 4 March. The victim, who is understood to be 35 years old, was fatally injured during an altercation involving a number of men in the Grafton Street area at around 2.40am. Three men, aged 19, 20 and 27, have been arrested and are currently in custody assisting police with their enquiries. 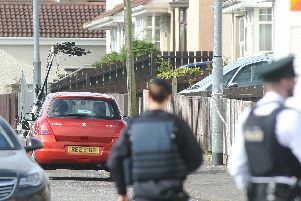 Detective Chief Inspector Alan Dickson from PSNI Major Investigation Team said: “We are working to establish the circumstances of this incident and determine the precise sequence of events that culminated in the tragic death of this man.